A study claiming power generated at four dams on the Lower Snake River could be replaced by a combination of renewable sources, conservation and better management of electricity use has been met with sharp criticism from a Seattle-based free-market think tank. 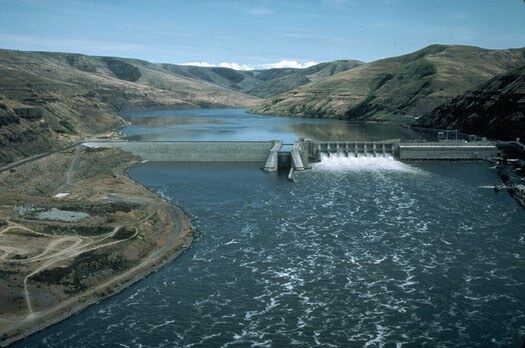 Todd Myers, director of the Center for Environment at the Washington Policy Center, said the study by the Northwest Energy Coalition contained errors and faulty assumptions to reach its conclusion and suggested it did so to promote a dam-breaching agenda. "They are trying to support removal of the dams," Myers said. "The electricity and the value of the electricity is the No. 1 issue they have to deal with. I think to that end they played a few games." Many salmon advocates say removing Ice Harbor, Lower Monumental, Little Goose and Lower Granite dams is the best way to recover stocks of Snake River salmon and steelhead protected by the Endangered Species Act. The federal agencies that operate dams on the lower Snake and Columbia rivers are in the midst of a lengthy court-ordered rewrite of plans meant to ensure the dams don't jeopardize the survival of the protected fish species. That review, in the form of an environmental impact statement, is expected to include a dam breaching alternative. In his blog and in an op-ed that appeared in the Tri-City Herald, Myers claims the amount of additional wind and solar needed to replace power produced at the dams is daunting and would cost much more to produce than the study states. For example, the study calls for an addition of 1.7 million megawatt hours of solar power in Idaho and 4.7 million megawatt hours of wind. That is 50 percent more solar than already exists in Washington and a 57-fold increase in Idaho's current solar power production. He also argues that the study used a figure to determine how much that solar power would cost based on solar capability not in the Northwest, but rather in Arizona. "Their price estimates are just wrong; they use the wrong evidence," he said. One price that Myers said is particularly low is the group's estimate that adding enough new solar and wind sources to replace the power contribution of the dams would lead to a little more than a $1 increase to the bills of rate payers in Washington, Oregon, Idaho and Montana. "They take the total costs and spread it over all the households in four-state region. That is not how it works," he said, noting people who get their electricity from utilities that purchase from the Bonneville Power Administration would see much higher rate hikes than those who are supplied from privately-owned utilities. "In Billings, Mont., and Bellingham, Wash., they are not going to pay extra for replacing the Snake River dams. It's going to be people who use the hydropower now. They are going to get big increases." He also said the replacement power would increase the release of greenhouse gasses above current levels, something the study acknowledges. Northwest Energy Coalition spokesman Sean O'Leary defended the study and said he takes offense at Myers calling the group's motives into question. His organization has voted not to take a position on dam breaching, other than to say it should be analyzed. He said the report was purposefully transparent and used the same models and tools that are used by utilities and regulators in the region, including those used by the Northwest Power and Conservation Council and Bonneville Power Administration. "We went far out of our way with being open about how the study was being done and used data from federal agencies and also used the same modeling tools they used. We shared our information with them." O'Leary noted the group faced pushback from some salmon advocates who claim the power could be replaced at much cheaper prices and some who said because of the surplus of power in the region, it would not be necessary to replace the generating capacity of the dams at all. "We have come under a great deal of criticism for the opposite reason -- using renewable energy prices they believe are too high." When calculating the cost ratepayers might face if the dams were breached, O'Leary said the study used a Northwest Power and Conservation Council formula. He acknowledged not all ratepayers would see equal increases and some might pay more than others. But he said all of the hikes would be modest. "We are talking about single-digit dollars a month. We are not talking about some outlandish figure." Despite, Myers' claims that a massive amount of new solar and wind plants would have to be built to make up for power the dams produce, O'Leary said doing so is easily within reach and already has been done in other regions. "The amount of renewables that would be required for replacement scenarios are on a scale that is significantly smaller than many parts of the country that have replaced in just the last decade," he said. The study is available at nwenergy.org.